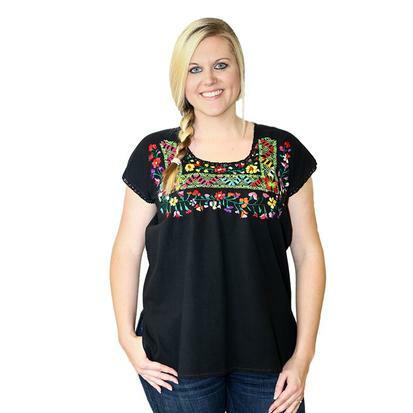 Handmade in Mexico, our Corralitos black blouse with multi colored embroidery is heavenly. 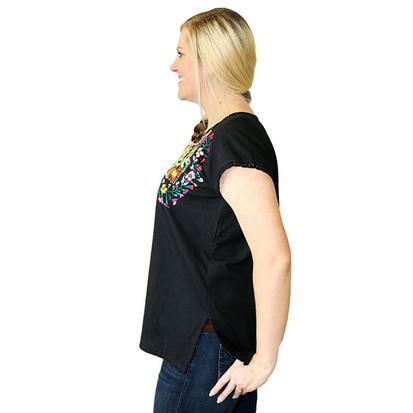 Fits sizes small through extra large. STT limited edition.